From the makers of My Talking Tom and My Talking Angela comes My Talking Hank! If you want a cute little pupper doggo this time around, you’ll definitely love Hank! Journey to a different locale full of tropical sceneries and amazing seafood – Hawaii! My Talking Hank takes you on a wild and care-free adventure. Hank loves taking photos and he needs your help in photography. Capture the wonderful sights of exotic animals and the landscape of Hawaii. However, take note that photography isn’t easy here. You will need to lure some scared animals out through food so they trust you and don’t get camera-shy. Can you complete his photo album? In addition to the visuals, the music also matches the theme of the game. It’ll make you hum Aloha ‘oe at some point as you keep playing. The cute ukelele sounds do turn your gaming experience more tropical than it already is. Outfit7 always brings amazing customization options for the player. We’ve seen it in My Talking Tom and My Talking Angela, and they never disappoint. Fortunately, My Talking Hank maintains that same reputation with so many customization options to choose from! It’s up to you on how you want Hank to look. Change his fur color pattern, his eyes, or add hair on him if you want! Of course, there’s the pet simulation that everyone knows and loves. Always make sure Hank is the goodest of good boy doggos around! Rub his belly, pat his head. You know, things dogs love in real life! Just don’t be harsh on him or he’s not going to like you anymore. The happier Hank is, the faster you gain XP to get fragments to unlock new costumes and house themes! Play My Talking Hank today on PC! 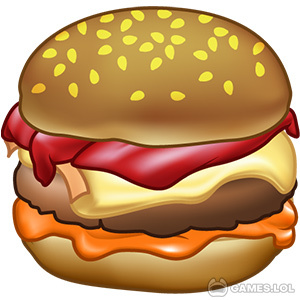 Download the game right here on Games.lol! Then check out more entertaining Casual Games to keep you company, like Best Fiends – Puzzle Adventure and Panda Pop – Bubble Shooter Game! Blast, Shoot Free! your My Talking Hank installation.